The Washington Post is launching a new podcast called Post Reports. It is set to launch on December 3, 2018. It is a news podcast that, unlike others, will not be posted in the morning. Post Reports will publish each weekday at 5pm EDT. Each twenty-minute episode of Post Reports will be composed of multiple segments, offering savvy observations on news developments, a behind-the-scenes look at how stories were reported by Post journalists and, at times, lighter subjects that offer some relief. Digiday reported that Post Reports will be The Washington Post’s first multi-part daily podcast. Each episode will have three segments: a “newsiest” segment, followed by a deeper dive segment, followed by a lighter segment. There is reportedly a team of eight people who will be working full time on the Post Reports podcast. This includes five new audio producers who were hired specifically for this podcast. Based on the information about this new podcast from the Washington Post, it appears that Madhulika Sikka might be the executive producer of Post Reports. Those who are interested in Post Reports can sign up to be notified when the first episode is released. The Washington Post is seeking a podcast host. The information about this job was posted on the WashPost PR Tumblr. A link about the podcast host job was posted on Washington Post PR verified Twitter account. The Washington has an opening for a podcast host to join their growing team. We are looking for an accomplished journalist with extensive experience who has a proven record of reporting and writing on a variety of subjects. This person will be the voice and personality of a daily podcast and will need to lead a show by engaging listeners both on air and on social media. The ideal candidate will be able to work quickly on breaking news while creating medium-and long-form stories at a high level. The show host will be expected to work on multiple segments each day. In addition, The Washington Post wants a person who has the ability to collaborate across the newsroom. They will be expected to spot and highlight great work in every department that could appeal to listeners. The Washington Post’s Research, Experiment and Development (RED) team has released Rhapsochord. It is a software system that uses automation to monitor and dynamically insert ads into an entire category of podcasts, past and present. The Rhapsochord technology ensures that a listener will hear the most updated ad no matter how they enter the podcast. Rhapsochord separates the handling of advertising allowing journalists to focus on content, making production time faster. It manages a database of ads, and uses automation technology to find ads that best match the podcast by show, content, date, and ad type. The ads are stitched into the podcast for pre-roll, mid-roll, or post roll placement. The Washington Post can then continue to distribute podcasts to listeners on whatever platform they prefer. The very first podcast to be processed by Rhapsochord is The Daily 202’s Big Idea by The Washington Post. It is hosted by Washington Post correspondent James Hohmann, who provides an analysis of the biggest political stories of the day. Rhapsochord will eventually spread to other podcasts, after being tested out on The Daily 202’s Big Idea. Ad Exchanger reported that advertisers who want to place their ads on podcast can still buy ads directly through salespeople. It also reported that the Rhapsochord’s technology complies with IAB standards for counting downloads of podcasts. 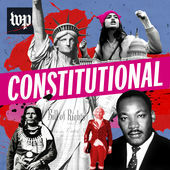 Constitutional is a new podcast from The Washington Post. The tagline for the Constitutional is “A podcast about the story of America”. With the writing of the Constitution in 1787, the framers set out a young nation’s highest ideals. And ever since, we’ve been fighting over it – what is in it and what was left out. At the heart of these arguments is the story of America. At the time I am writing this blog, Constitutional has an introductory episode called “The Preamble”, a short episode titled “We the people” and three full episodes. Episode 1 is titled: “Framers” and is about the framers of the Constitution. Episode 2 is called “Ancestry”. It is about a case that came before a Nebraska courtroom in 1879, that asked the question “Are Native Americans considered human beings under the U.S. Constitution?” The third, and most recent episode, is titled “Nationality”. It asks the question “What makes someone American” The episode focuses on a landmark Supreme Court case in 1898 that involved a child born in San Francisco to Chinese immigrant parents. If you have been paying any attention at all to American politics since Trump was inaugurated, you are undoubtedly aware that a lot of things are happening at once. Some of the decisions made by Trump and his administration have been controversial. A podcast called “Can He Do That?” asks that question. Can He Do That? is a podcast from The Washington Post. The podcast is hosted by Allison Michaels, who is a digital editor on The Washington Post national desk. Each episode is co-hosted by a rotating cast of Washington Post reporters. Every episode features original reporting that will illuminate the ways Donald Trump can reshape the presidency. In addition, the host and co-hosts try and explain what the Trump presidency means for people in the United States and the rest of the world. The first episode of Can He Do That? was released on January 27, 2017. One month later, on February 27, 2017, the Washington Post reported that the podcast reached one million downloads in its first month. New episodes are released every Friday. The current election season in the United States has been long, and confusing, with some completely unexpected things happening. It feels like the majority of the news is focusing on the election, politics, and speculation on who will become the next president of the United States. This environment could explain why so many people have been listening to the “Presidential” podcast. “Presidential” is a podcast from the Washington Post. It was launched in January of 2016 and has had more than 1 million downloads on iTunes (as of March 31, 2016). More than 100,000 listeners download “Presidential” each week. That number does not include those who listen to the podcast directly from the Washington Post website. Lillian Cunningham is the host of “Presidential”. Each episode examines the leadership stye of one American president. The first episode focused on George Washington. “Presidential” is working its way through the former presidents and will end with an episode about the 45th president of the United States (whomever he or she may be). I guess it’s always good when podcasting gets some exposure from sources outside of the echo chambers that usually cover podcasting news. But it can be a mixed bag when those sources step in and cover our beloved medium. Sure, this coverage brings new eyes (and new ears!) to podcasting, and potentially to our shows. But the focus of the coverage can be shallow, usually sticking to firebrand topics like money and famous people. An article was recently published by The Washington Post titled Podcasts are back – and making money. Nothing gets a mainstream publication more excited about podcasting than mentioning the fact that big-name celebrities are now podcasters and the Post article name drops its fair share (Adam Carolla, Snooki, Steve Austin, more). But the real lede the article wants to drive home is that, as the title suggests, podcasts are back! And they’re MAKING MONEY! 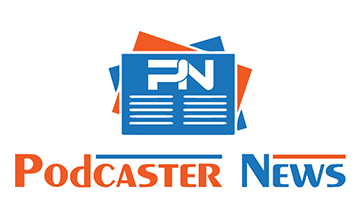 I bet most people who read Podcaster News probably feel like podcasting never left. And most of us know that while it is possible to make money in podcasting, it’s really not that simple. The article cites statistics like the number of iTunes podcast subscriptions in 2013 (over 1 billion!) and that PodcastOne sells “millions of dollars” worth of ads thru its podcast network. I’m sure these big numbers will help to make a good impression on those who are just learning about podcasting for the first time. But they’re more the exception than the rule.